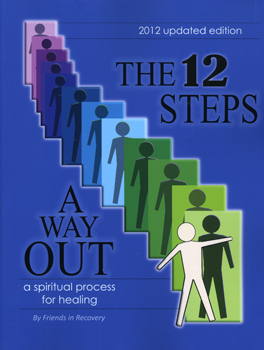 The 12 Steps - A Way Out, Revised Edition, is the ideal working guide for adults who seek healing from the hurtful effects of life events and experiences. These damaged emotions influence our current views and choices. Through the use of the Twelve-Step process and the power of self-disclosure, The 12 Steps - A Way Out becomes a road map on the journey toward lasting change and healing. The path toward wholeness is one of surrender. The book gently leads the reader through a process of accepting a power greater than ourselves, rather than a false trust in one's wounded self. This book offers a specific format for moving from isolation and denial to acceptance and competence in dealing with feelings of anger, guilt, fear and despair. By releasing the past and opeing up to the present, individuals begin to develop confidence in the realization that they are valuable and worthwhile people.